We've all seen images taken of the surface of Mars over the past handful of years. Each photo shows a lot of dust and a lot of sepia tones, but it looks like NASA may have found a needle in that big reddish-brown haystack. According to reports, the Curiosity Rover recently spotted something shiny on the surface of the Red Planet and there are plans to move in for a closer look. Nicknamed the Little Colonsay, the shiny object may just be your typical space debris, but NASA won't know for sure until Curiosity can use its instruments to do some more detective work. "The planning team thinks it might be a meteorite because it is so shiny," wrote planetary geologist Susanne Schwenzer in a recent mission update. "But looks can deceive, and proof will only come from the chemistry." Schwenzer reports that a look at the mystery object and another sample will actually be a part of a re-targeting mission since Curiosity already had a chance at it. "Unfortunately, the small target was missed in the previous attempt," the scientist wrote, "and with the information from that, Curiosity will try again." 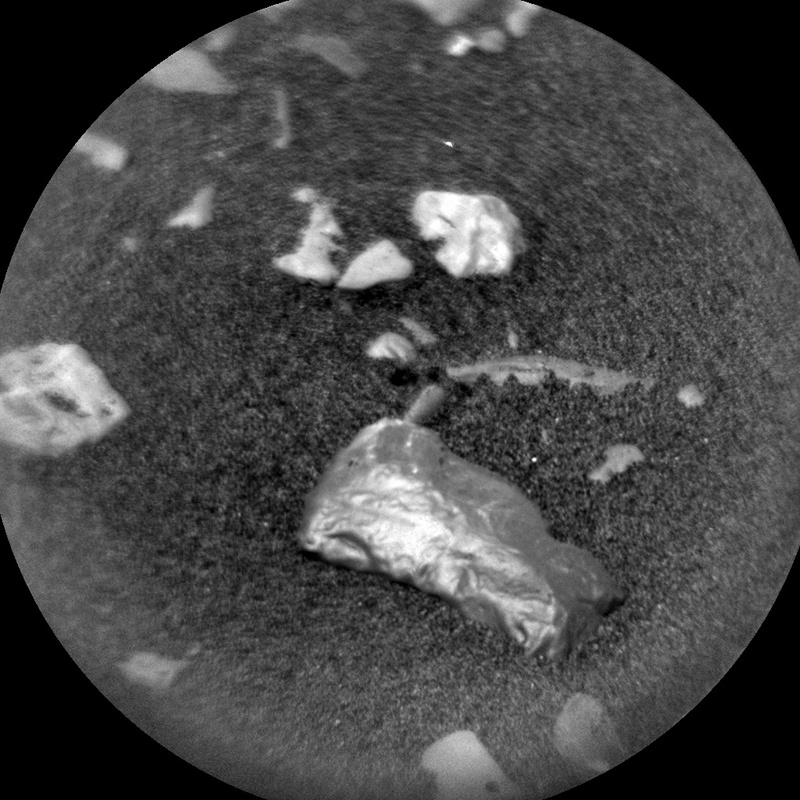 Curiosity will use its Chemistry and Camera complex (ChemCam) to study the object, but NASA did not specify in the mission update when that will be. Having launched back in 2011 and landed in August of 2012, Curiosity is very much a veteran of the Mars landscape. With InSight now on the scene, it's easy to shift focus and forget about all the important work the older rover has done. Whether it's investigating shiny rocks or snapping more photos of dusty spots, the car-sized rover has been slowly and steadily making its way around the strange new world and collecting information that could change how we think about the universe. Last month its odometer rolled past the 12-mile mark, and we can't wait to see what happens during the next 12.